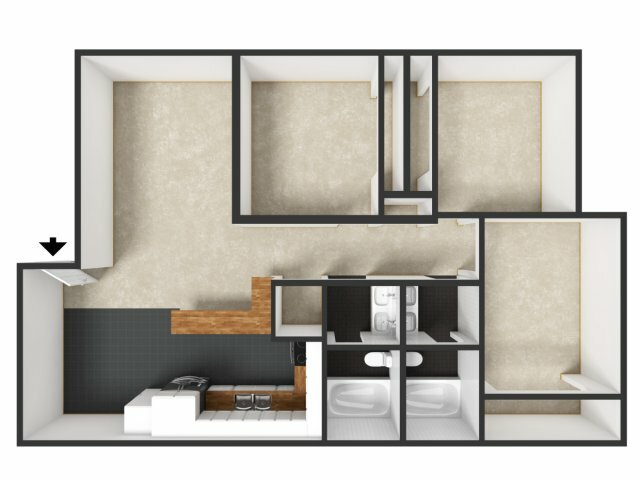 Our 6 person shared 3×2 floor plan layouts come fully furnished! Sign a lease today! Lock in the best rates of the year by sending in your application today! Our apartments are fully furnished for your comfort, peace of mind, and as a turn-key living priority. This way you don’t need to worry about the costs and inconvenience of bringing your own furniture.